There's a wealth of stuff out there on the web but it's nice to tap into a local vein of knowledge if you can find it. "The Sustainable Organic Gardening Guide for Self-Sufficient People"
An inspiring and informative website belonging to Angelo Eliades whose jam-packed backyard food garden in Preston is increasing well known and appreciated (if you even have a chance to see it - go!). Full of well written and practical information about DIY garden projects, food growing, fruit trees, planting calendars and guides, permaculture and more. I guarantee you will see something in here that you'll want to try at home. "Gardening & Living in a Changing Climate"
Long(ish)-form, easy-to-read, contemplative or observational writing from Sophie Gebhardt. What's happening with her own (northern suburbs of Melbourne) growing garden alongside recipes, stories about local happenings and places. "Self sufficiency and sustainability in Fawkner, Melbourne, Australia, and beyond!" I always feel moved to get on with my own stuff at home after reading posts from David about his family's efforts in their Fawkner garden. There's plenty of 'give it a go', success and 'maybe we'll try this next time', observation, enthusiasm, action and more. 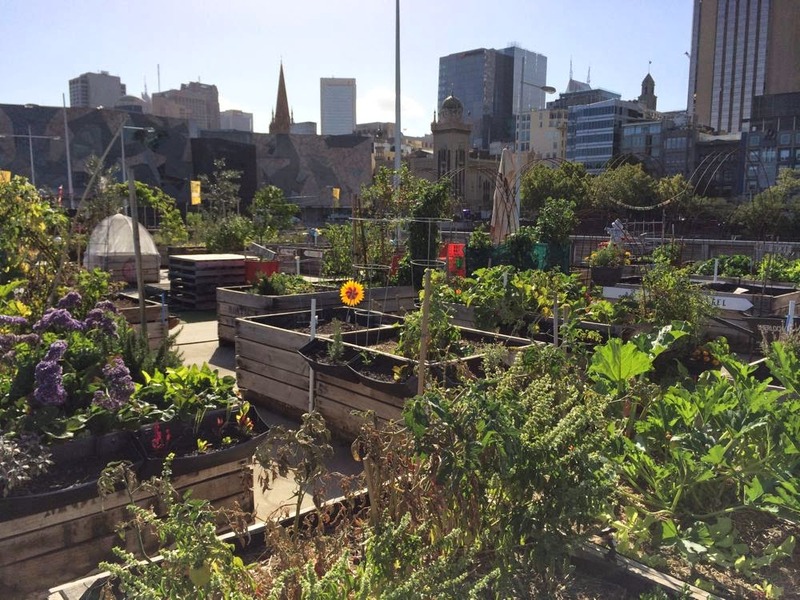 "A family having a crack at sustainability in the urban jungle"
A relatively recent addition, Andy's site covers a range of topics including food growing in his family's Brunswick garden, (push)biking and solar power . So far it seems practical, pictorial and fun. Care to share your favourites and tell us why? Add your comments to this post or head over to our Facebook page.